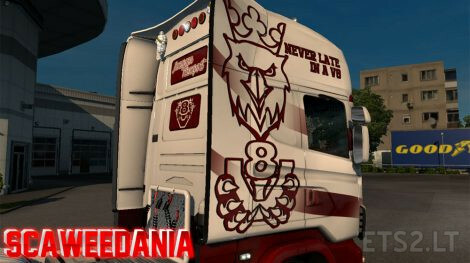 Red Griffin V8 skin for Scania 4 Series made by RJL. ^^This skin is compatible with other series from RJL. 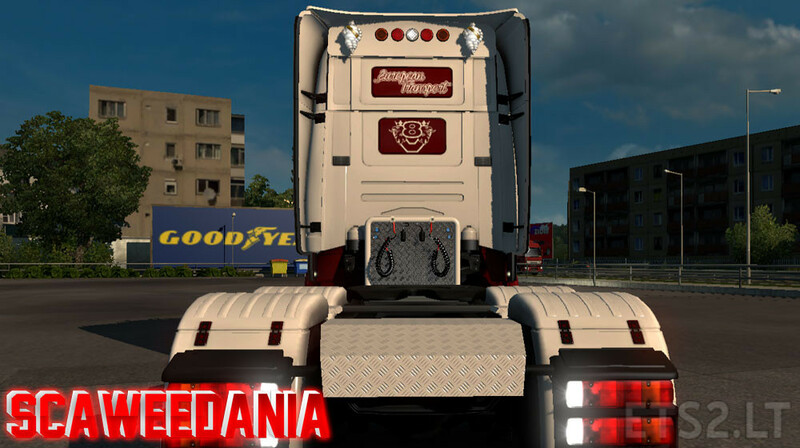 I use the Scania RS Addons by powerkasi. apart from some points (lightboard, skirts, roofbars etc.) still no useful points on the front grille. I’ll explain myself better: when I choose the points on the front (i really want to put some lights and the super logo) i can’t select anything because the list of attachments it’s empty. where did you put the addons mod in the mod list? before or after the scanias? I had the same problem as you, but I managed to solve it when I downloaded the lattest mod version from powerkasi, the scania RS Addons. 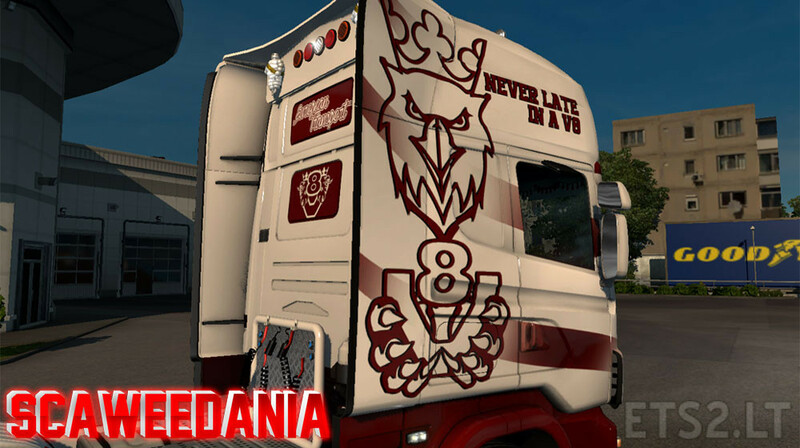 I put them after the Scania mod. Addons have a higher priority than the Scania. It worked fine to me from the first try.